I grew up with a mother always insisting that I be an educated, professional woman. Her reasons were many, including that being a professional would help me retain a certain amount of flexibility and independence should crap hit the fan of life. I share the experience, not because it’s the exception, but because it’s common to the lives of many Muslimahs. No, not in the same way. Many Muslimahs have implicit limits on their professional lives. I deliberately use the word “implicit” because the assumptions buried within media discourses provide tremendous insights into the social expectations of the professional Muslim woman. These social expectations are often stacked against us, as Muslimahs, in ways that can limit our professional ambitions. For a number of Muslim women in the West, particularly for those that choose the hijab, pursuing professional ambitions means negotiating identities within the Western context. The process of negotiation isn’t always voluntary or fair, particularly since the media generally frames women who wear the hijab as outsiders. Quebec’s proposed Charter of Values, recently discussed by Krista, demonstrates how the process of “othering” the headscarf makes Muslim women vulnerable to harassment. Yes, Muslim men may be bearded, and therefore, more “visibly” Muslim. But the beard can sometimes be played off as a choice of style or fashion and isn’t subject to the same media scrutiny. The stereotypes subject to hijabi women, not surprisingly, are often applied to all Muslim women, assumed to be meek, subservient, and more interested in being married and starting a family. So, it’s no surprise that Muslim women struggle with being hired and securing economic stability. In other words, the experience of the glass ceiling is different for Muslimahs. In addition to societal pressures, many Muslimahs have enormous domestic expectations. While my heart was set on Internal Medicine for a career, I’d be lying if I didn’t tell you I thought twice about choosing this residency over Family Medicine, where schedules tend to be more flexible and the residency demands a bit more forgiving. The Muslim men I knew didn’t talk about altering their career paths based on the pressures of getting married and having children. But Muslimahs have to “balance” their careers with their families. The concept of “balancing” is a media discourse specific to women, not just Muslimahs, commonly used to describe the challenges in negotiating professional and familial obligations. Parents Magazine, for example, offers their “10 Ways Moms Can Balance Work and Career.” There is even a Wikihow page that provides advice for women about striking that same balance. (What I love most about that Wikihow page is that it specified for women, while no equivalent exists for men.) Certainly, the general media discourse about women’s place and space within the social world prioritizes domestic aspects of life. Even among those that acknowledge the powerful contributions women make within the professional world, the social world assumes women are responsible for making both work. An article from Wharton (University of Pennsylvania), for example, provides the example of four executives who excel within their high powered professional positions and maintain their commitments to family. Not surprisingly, these assumptions extend to Muslim women. In a profile of Nasya Bahfen, a lecturer for the journalism program at RMIT University in Australia, the focus is on her ability “to do it all”: work, family, and faith. Again, the perspective perpetuates the always assumed, unquestioned belief that professional women can and should be stretched across work and family. 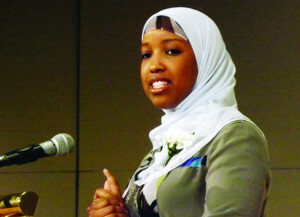 For many Muslimahs, the context of the professional discourse includes an additional frame, though with the same result. Familial obligations are often discussed as religious obligations; as if Muslim women should really only be working if doesn’t interfere with raising children and maintaining life at home. On “OnIslam,” the post “Home and Work: A Win-Win Relation for Muslim Women” uses the “juggling act” lingo to describe women stretched between work and household responsibilities. The same article also frames men as religiously owning the obligations to provide for their families. In “Muslim Women Working Outside the Home: The Pros and Cons,” Sadia Raheem stipulates the conditions under which women can work outside the home, including guidelines such as “Outside employment should not come before, or seriously interfere with her responsibilities as wife and mother.” The framing of those domestic religious obligations for women is especially interesting, usually in terms of home being the “natural” place for women, as an honorable and venerable place to be. For many Muslim women, however, working is a pragmatic economic reality; whether we are single, divorced, or married, with or without children, the costs of living are such that only a privileged few can make ends meet without being employed. Then, consider another layer in the discourse about professional Muslimahs, one that includes an inherent discomfort with independent women. In her recent post, “The Scary Independent Woman,” Afia dissected an Indonesian religious teacher’s tweets, including statements like, “A woman must be strong, independent, not reliant upon others” | that’s your choice, not many men would desire a woman that scary hehe.. ” The title of Jalees Rehman’s post on Altmuslimah, “Are Muslim men scared of professional single Muslim women in their thirties?” speaks for itself. Is it really fair, then, to use the term “balance” when the primary pressure for Muslimahs is be at home? This isn’t at all to knock those sisters that “stay at home.” It’s a job (yes, a job) that can often be thankless and taken for granted, full of sweat and tears, from which there is no vacation. But my hope for all my sisters is that it’s a consensual choice that they’ve made and makes them content within their lives. Absolutely, the ways in which heterosexual Muslim couples negotiate domestic work is shifting. Particularly in the West, where two-person incomes are practically necessary to sustain a decent quality of life for a household, Muslim families have to adapt. All of that notwithstanding, the discourse for women, Muslim or not, means childcare and homecare issues are primarily a woman’s responsibility. A real shift in media discourse on professional women, one that truly acknowledges the importance of women in Islam, would mean equitable sharing of gender roles within relationships based on principles of justice. Wrinkles of that impending change are evident in the blogosphere. In a Ramadan post on the Zaadialogues, for example, Zaid interrogates assumptions that women are obligated to fulfil parenting demands in place of ritual devotion and participating in taraweeh.